Devotees prepare for the celebration by cleansing themselves through prayer and fasting. Kavadi-bearers have to perform elaborate ceremonies at the time of assuming the kavadi and at the time of offering it to Murugan. 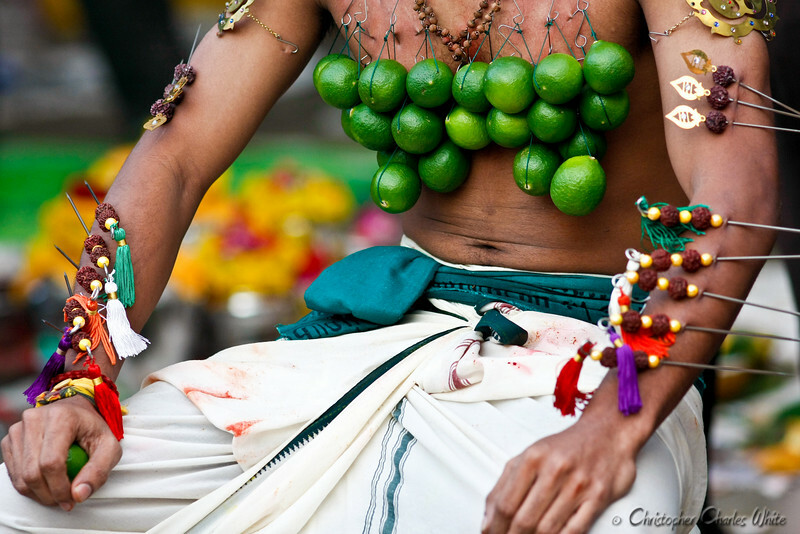 The kavadi-bearer observes celibacy and take only pure, Satvik food, once a day, while continuously thinking of God. On the day of the festival, devotees will shave their heads undertake a pilgrimage along a set route while engaging in various acts of devotion, notably carrying various types of kavadi (burdens). At its simplest this may entail carrying a pot of milk, but mortification of the flesh by piercing the skin, tongue or cheeks with vel skewers is also common.